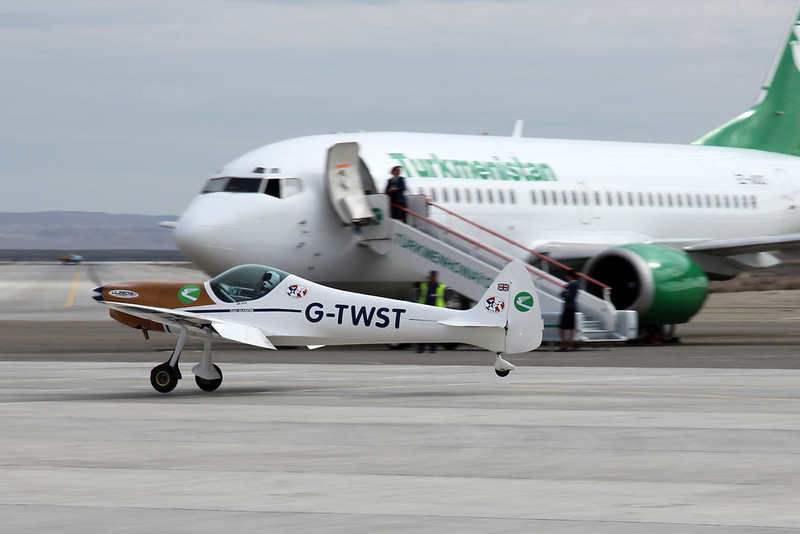 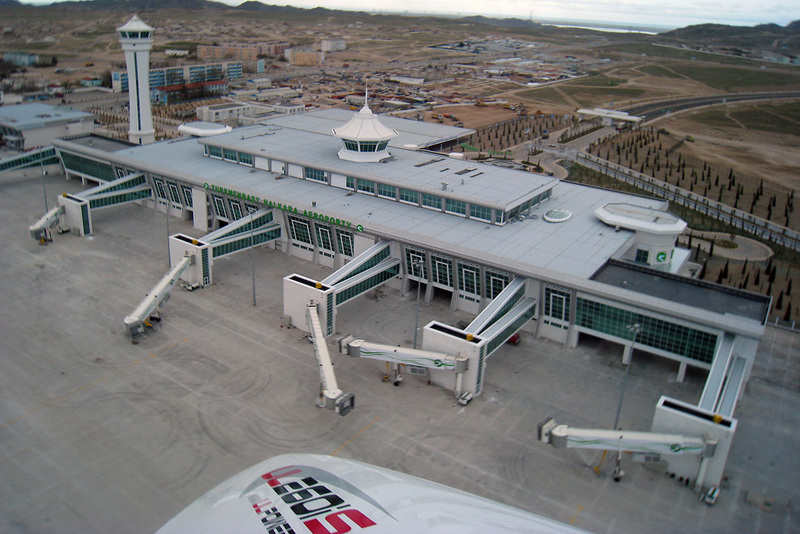 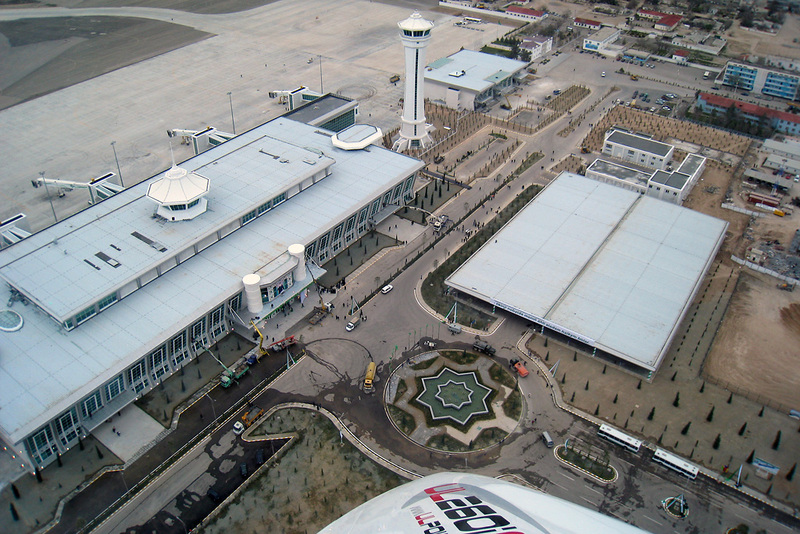 Twister Duo 2010: From Turkmenistan to Barcelona! 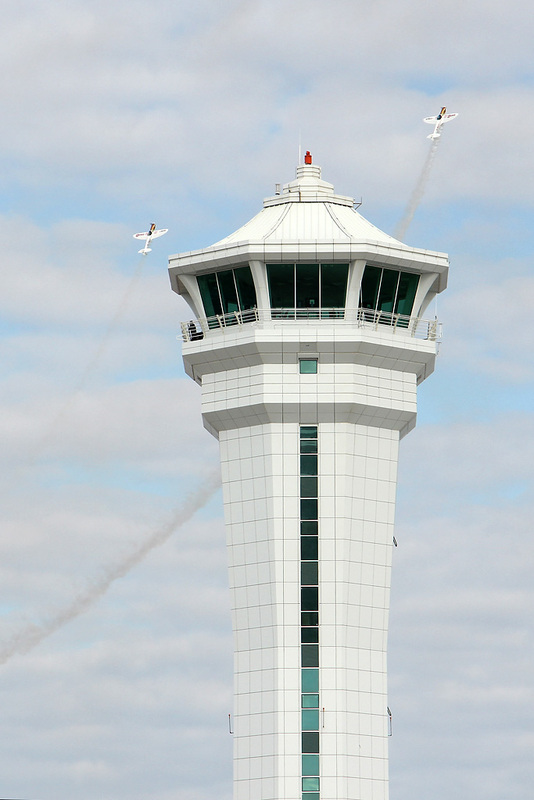 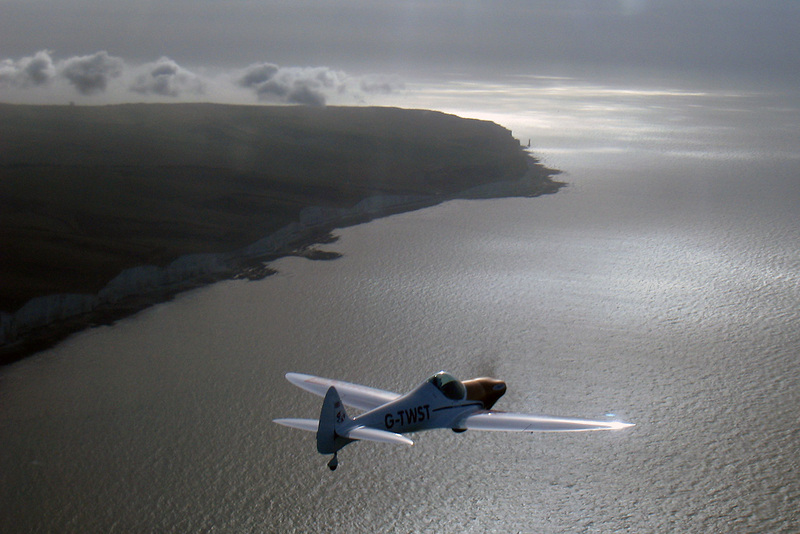 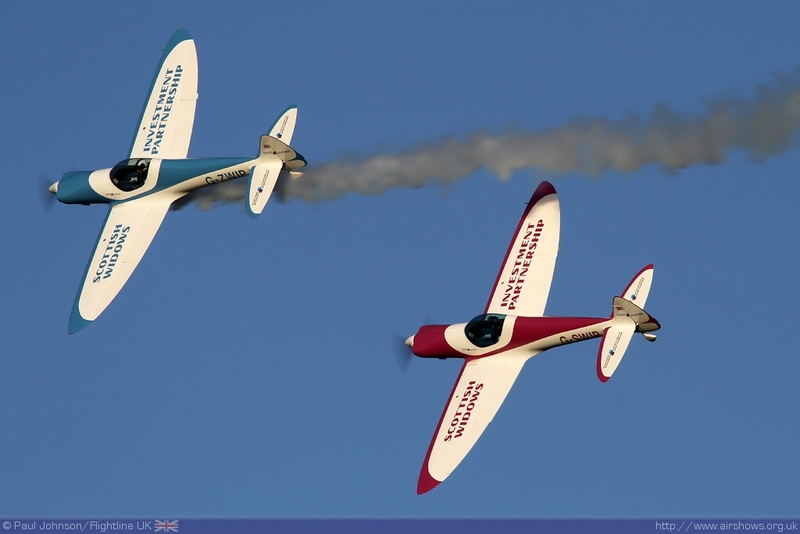 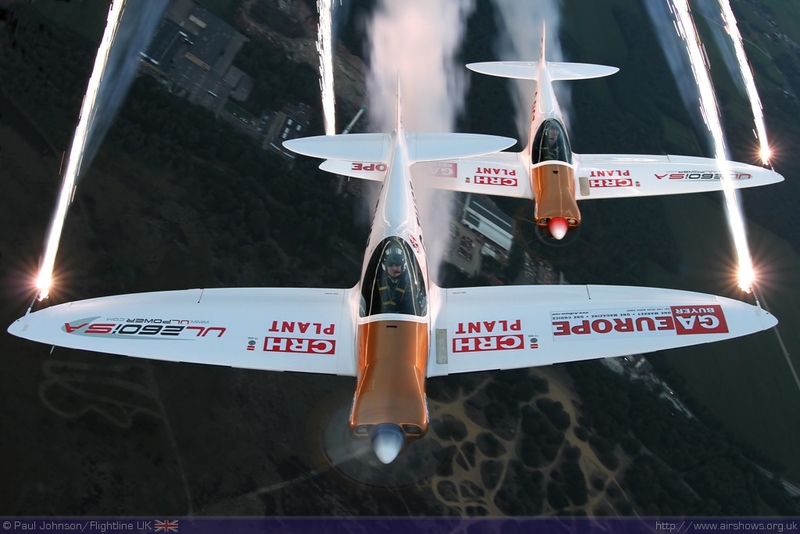 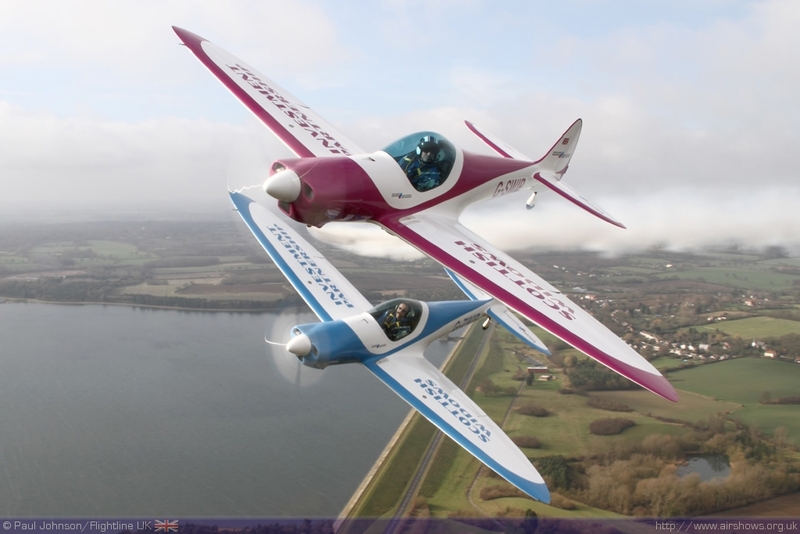 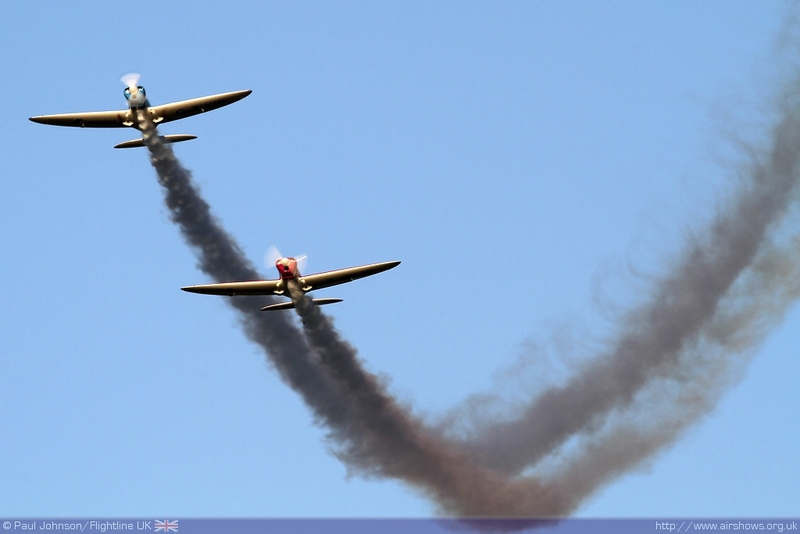 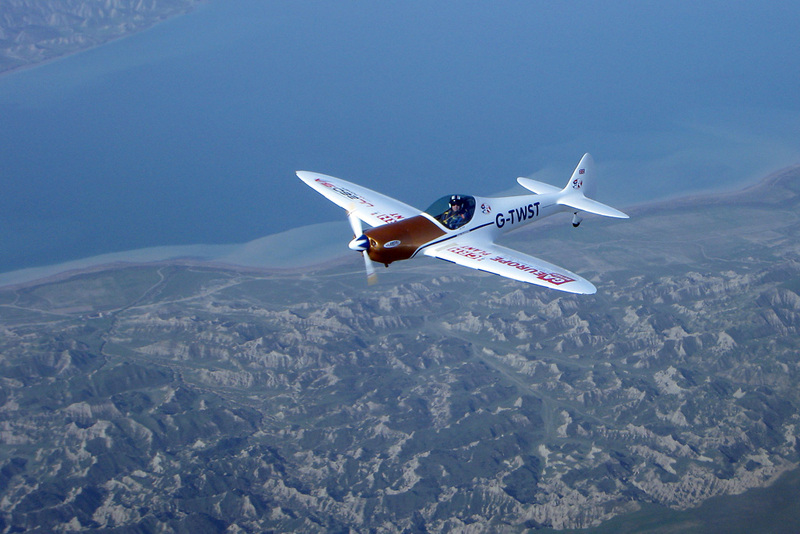 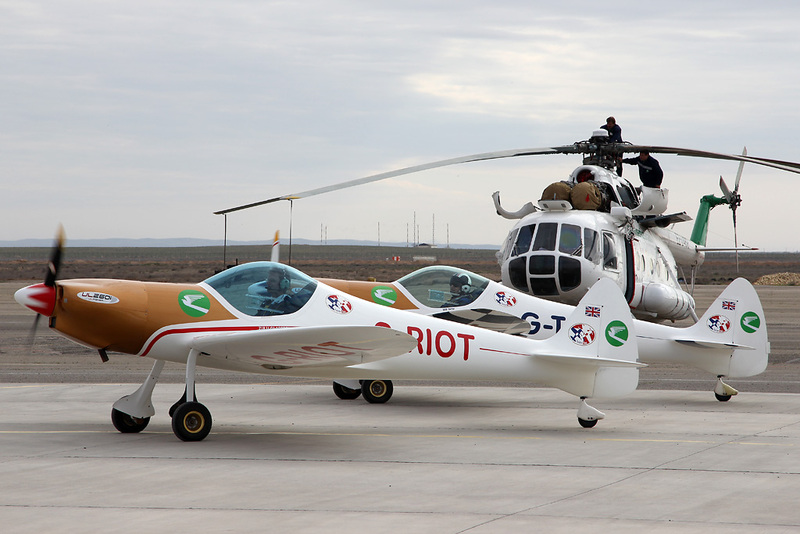 The 2010 display season saw a new act hit the European circuit, the Twister Duo. Now heading in to their second full display season the team have attracted major sponsorship from Scottish Widows Investment Partnership forming the SWIP Team. 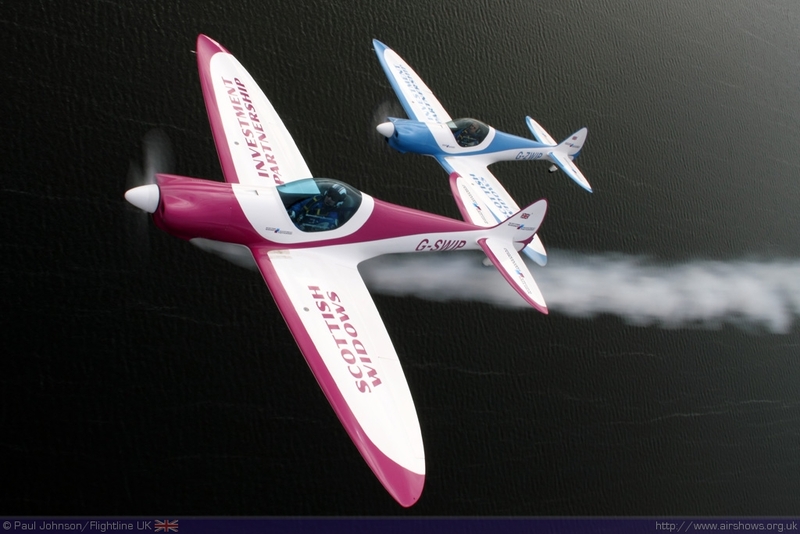 Paul Johnson/Flightline UK reviews the teams first display season and looks forward to what 2011 will bring with some exclusive air to air photography of the team in their new colours. 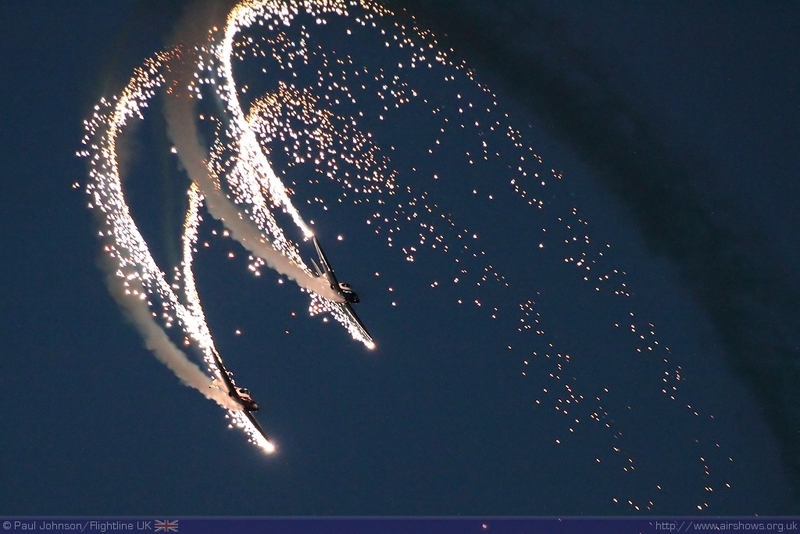 Photography as credited. 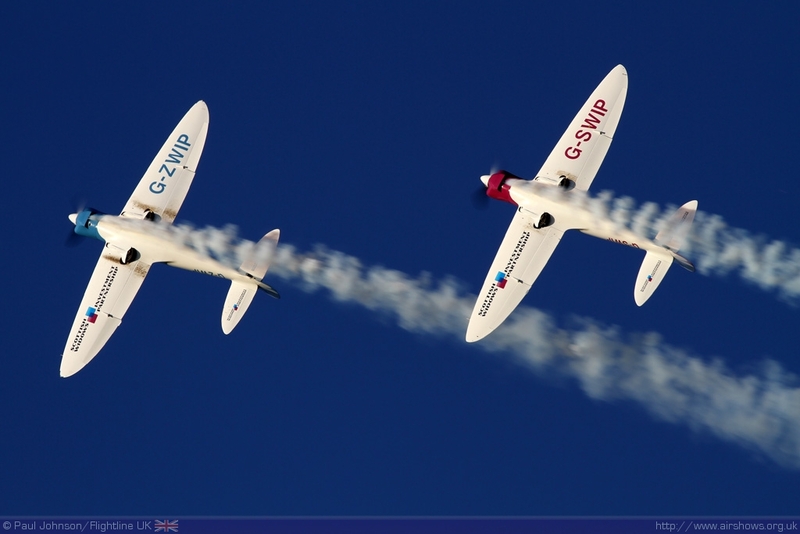 Peter Wells’ pair of Twisters have become a familiar sight at airshows across Europe. 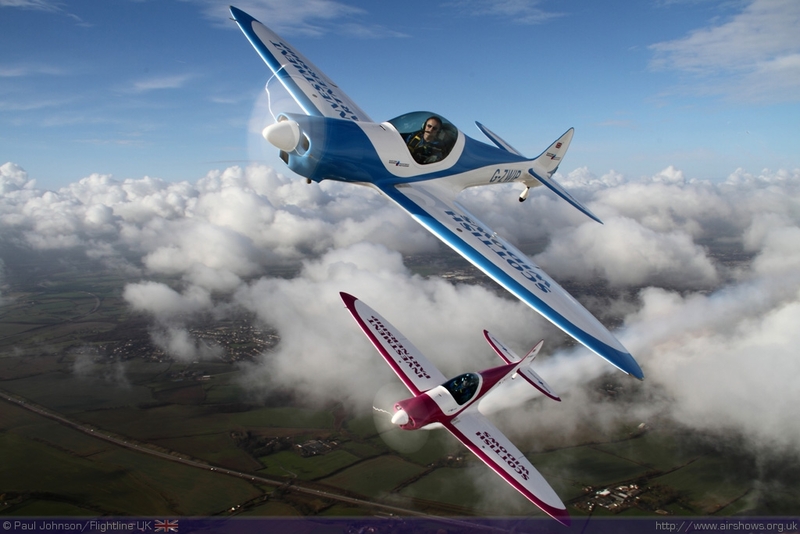 The aircraft have been head-turners wherever they have appeared thanks to their stunning looks. 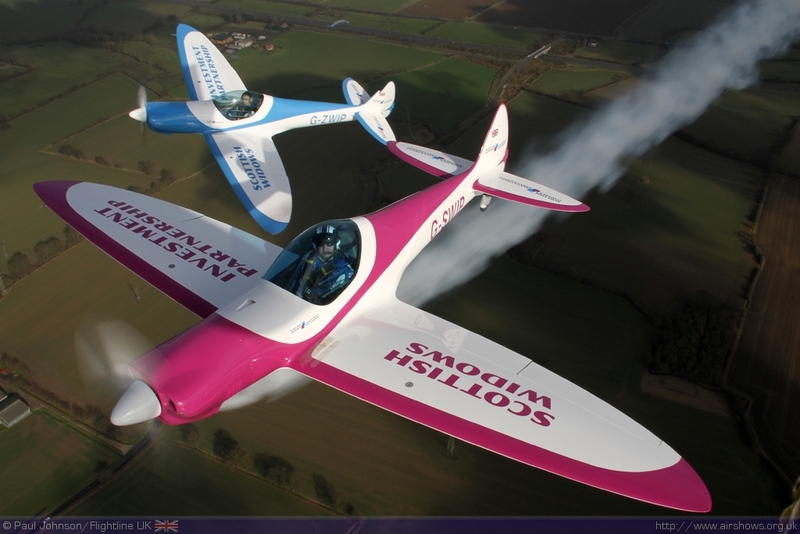 Flown by Pete and Guy Westgate, the Twisters perform a unique combination of formation and synchronised aerobatics, filling the skies despite the small size of aircraft! 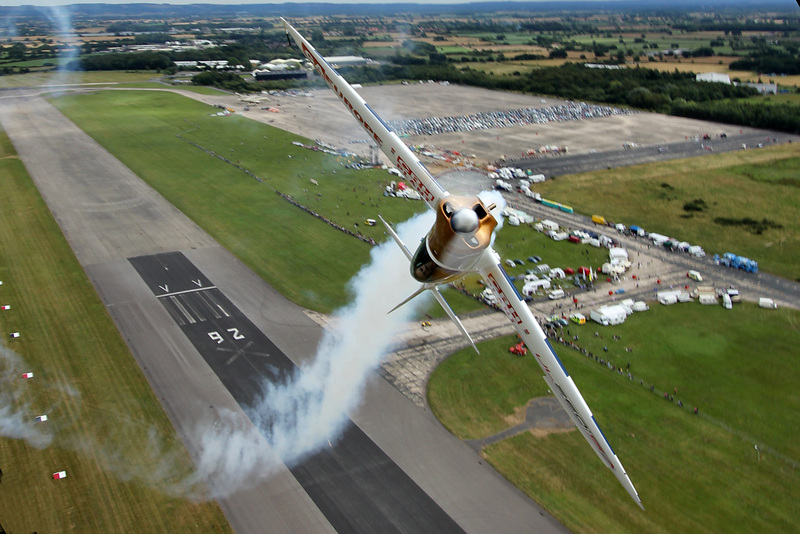 The team’s first display season was incredibly busy taking in over 50 displays in 8 different countries – an amazing feat! 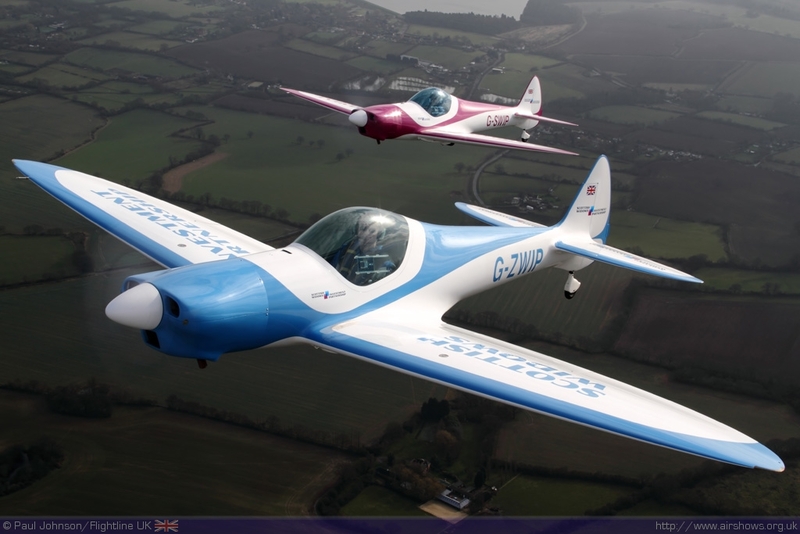 The UK display season got underway in May with the team’s debut weekend taking in Abingdon and Old Warden, but the team spent a lot of time displaying Europe, made easy thanks to the Twister’s 4 hour endurance with the efficient Belgian UL260iSA aero-engine. 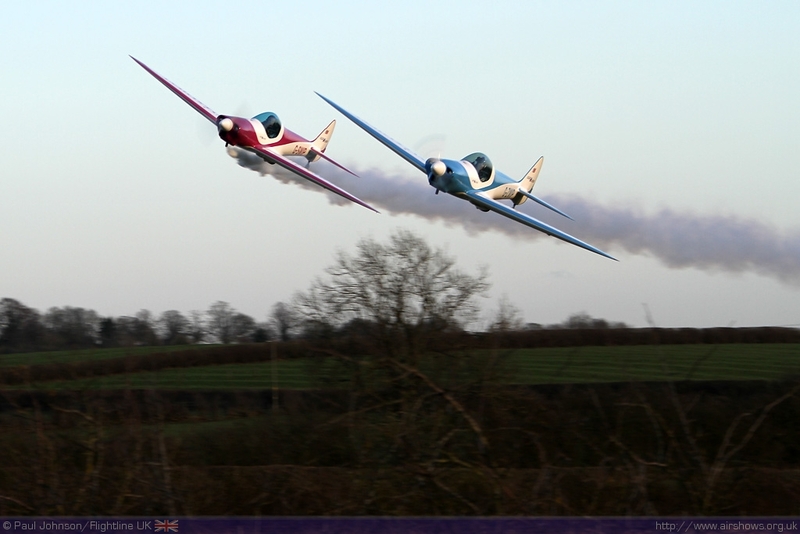 The Duo took in the Aero Expo at Pribram in the Czech Republic, the Luxembourg Airshow at Bitburg in Germany and the world famous Sanicole International Airshow in Belgium on top of a number of displays in Ireland. 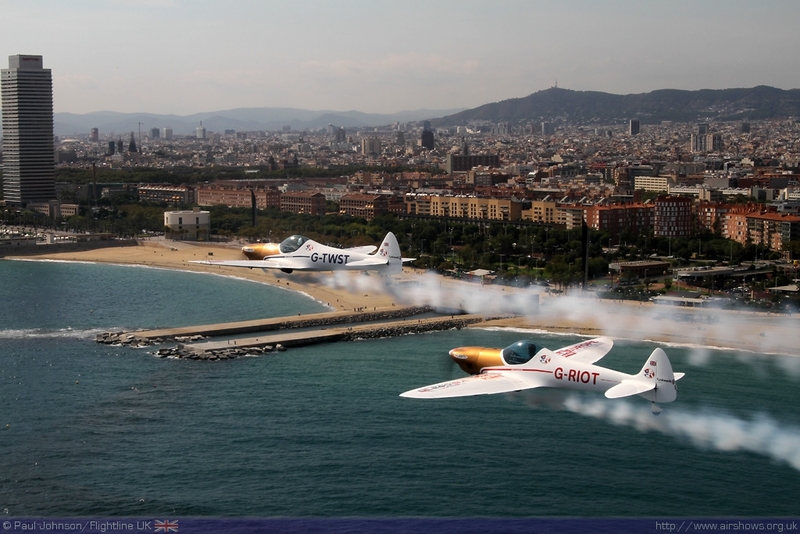 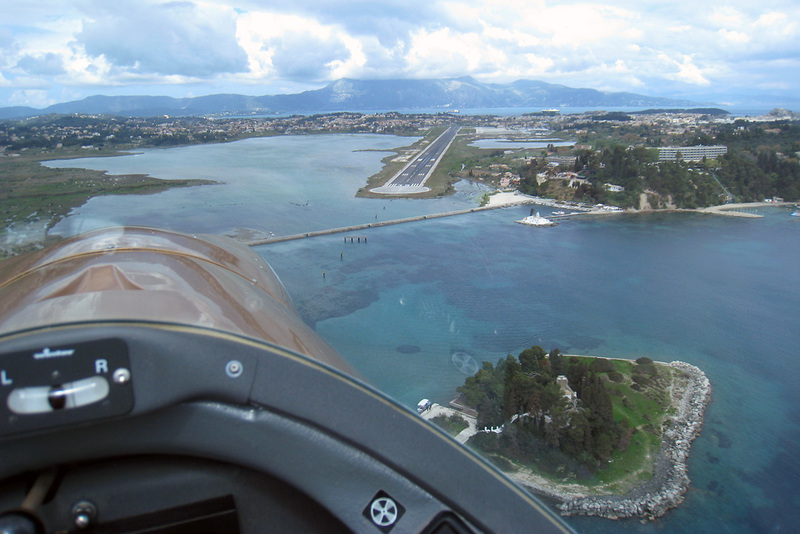 The season finale was the fantastic Barcelona Airshow held along the coastline of the city! 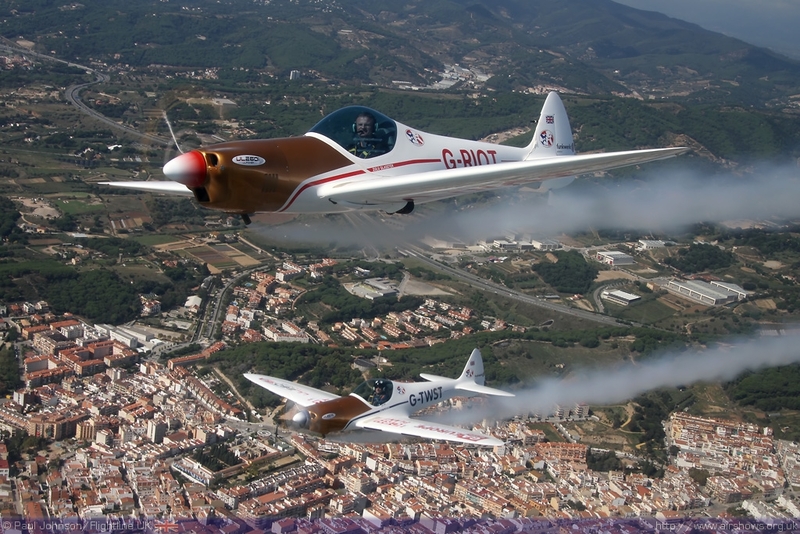 “There were a number of season highlights” Pete enthuses: “Because we overcame some difficulties with weather and because of the amazing venue, Windermere was a real highlight of the UK shows. 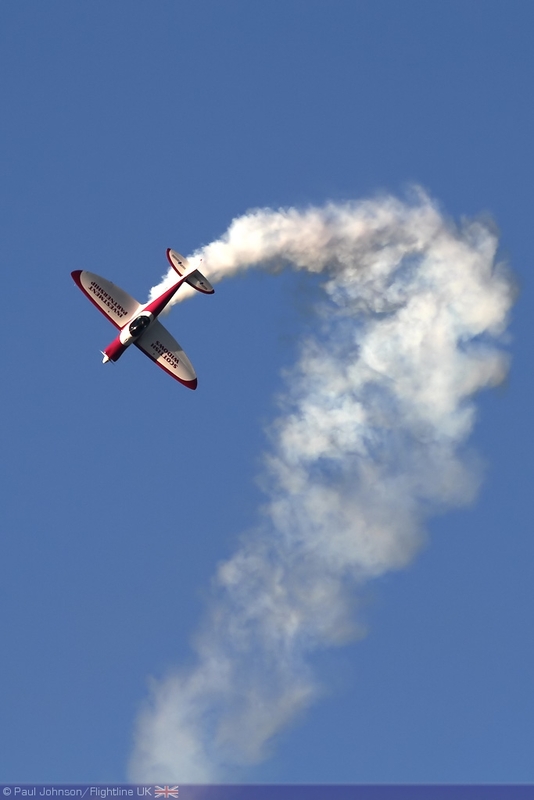 “How many display pilots build their own planes then see them on a stage with dry ice and a laser show, loud music and a film of the display on a giant screen behind? 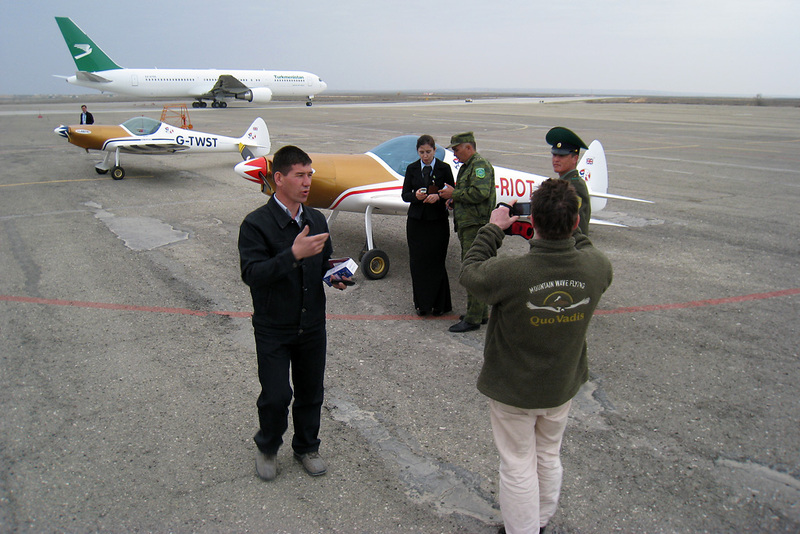 We also met the staff at their headquarters and saw the beautiful scale models of our planes hanging in the lobby to their office building. 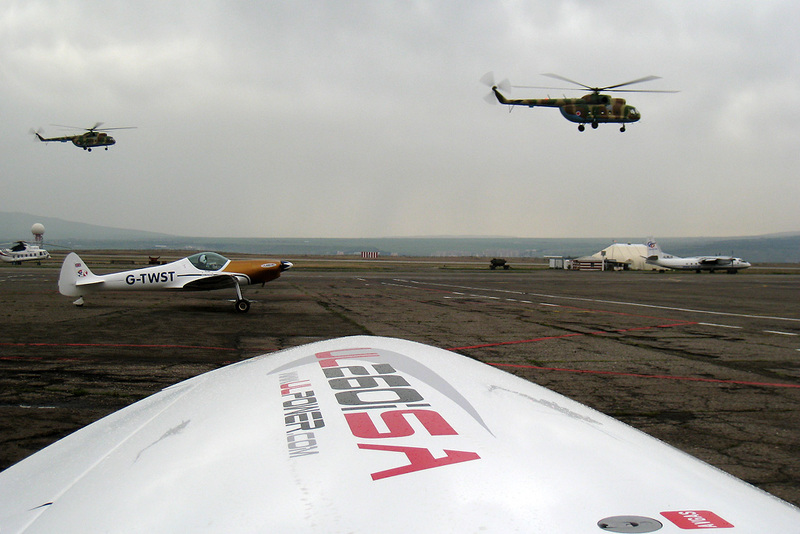 The rebranding of the team does not just stop at the colours on the aircraft. 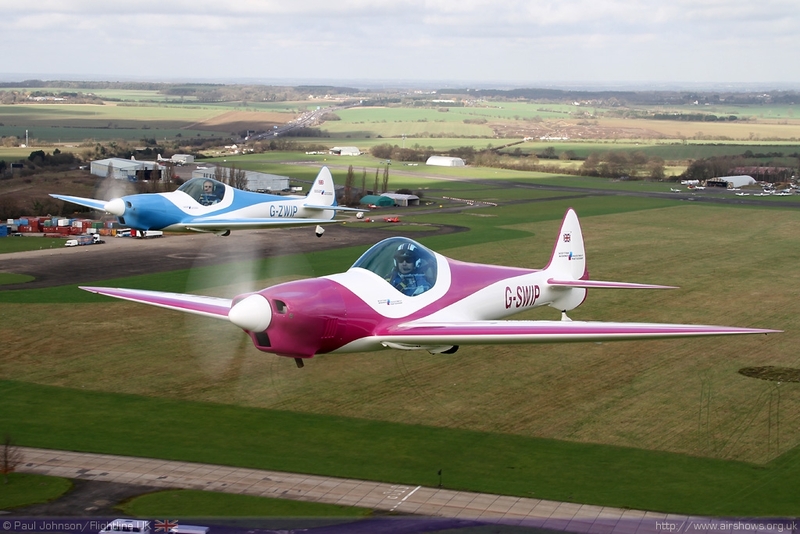 Both G-TWST and G-RIOT were re-registered over the winter to G-ZWIP and G-SWIP respectively and the team have been busy fulfilling a number of photographic and filming flights. 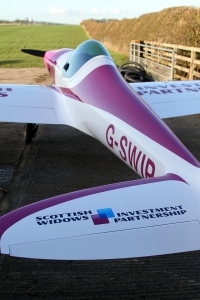 The SWIP Team currently feature in some billboard advertisements outside Edinburgh Airport as well as SWIP’s own website and marketing materials. 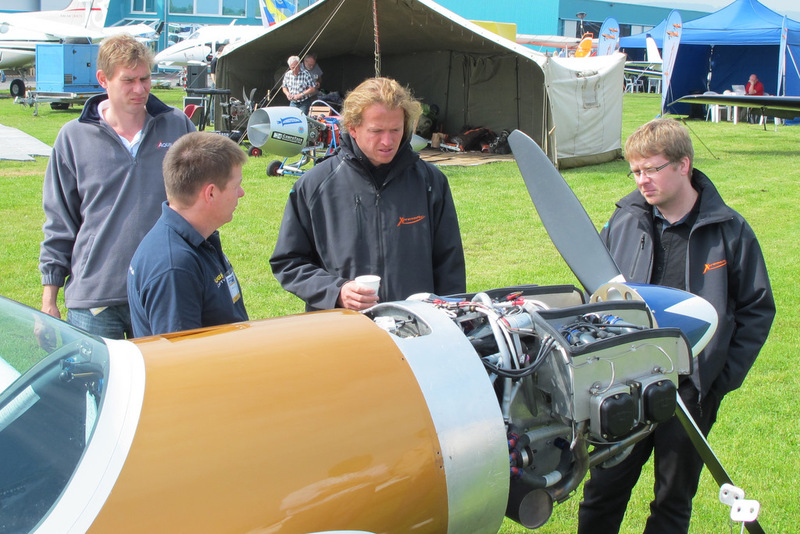 The team plan to further develop the displays in 2011 highlighting the outstanding qualities of the Silence Twister. 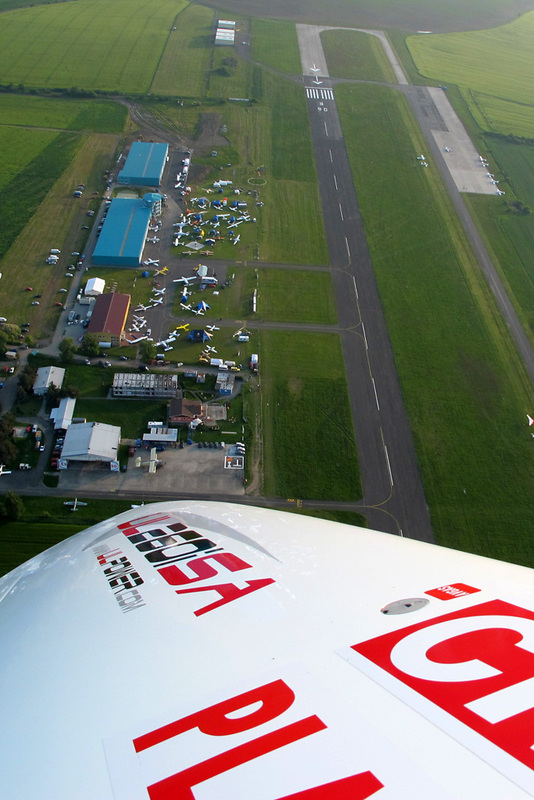 “We are constantly evolving to stay fresh for our audiences. 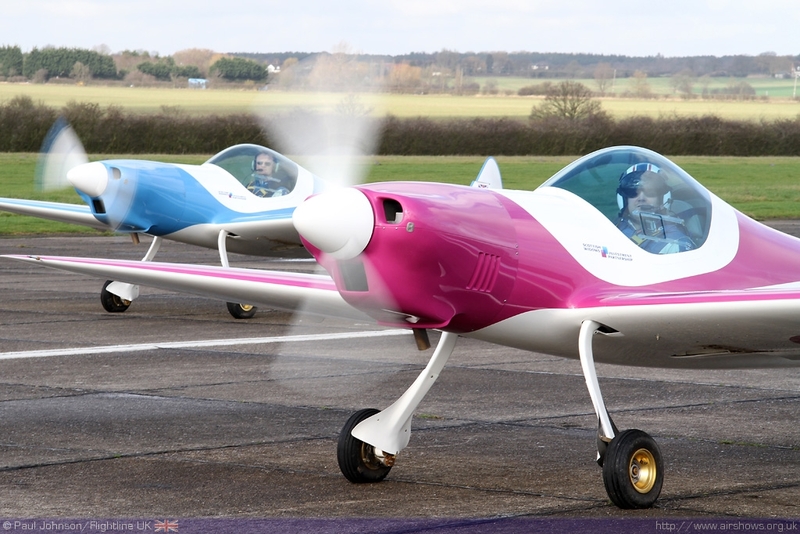 “I am looking forward to learning new formation skills and developing the act with the confidence we have the support and backing of SWIP. 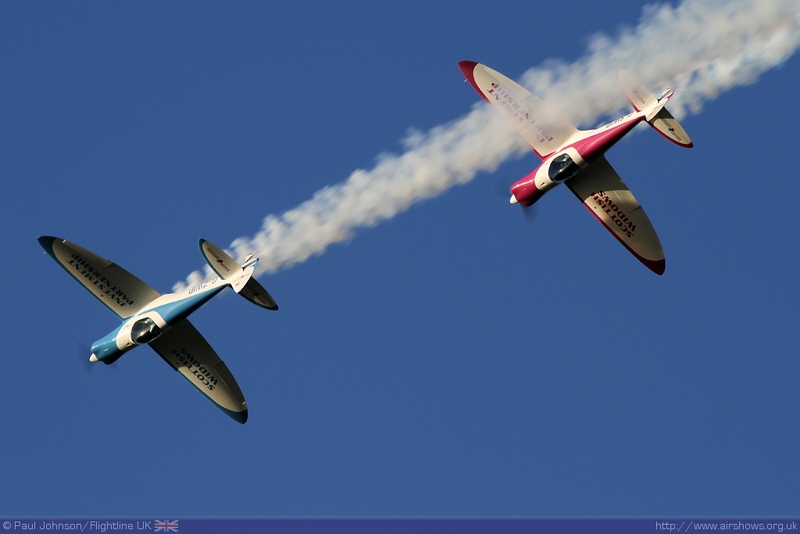 I am also looking forward to displaying at some new venues” comments Guy. 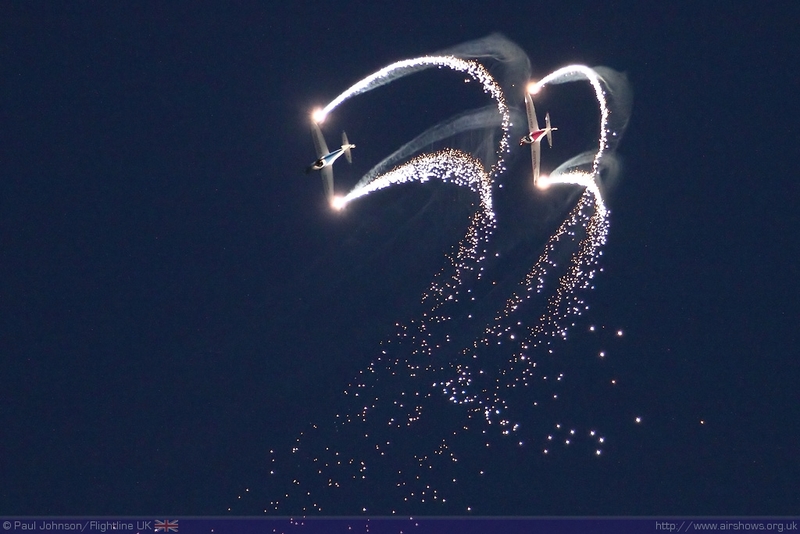 Towards the end of the 2010 season we saw the first evening displays by the team aided by pyrotechnic effects from the wingtips of the Twisters. 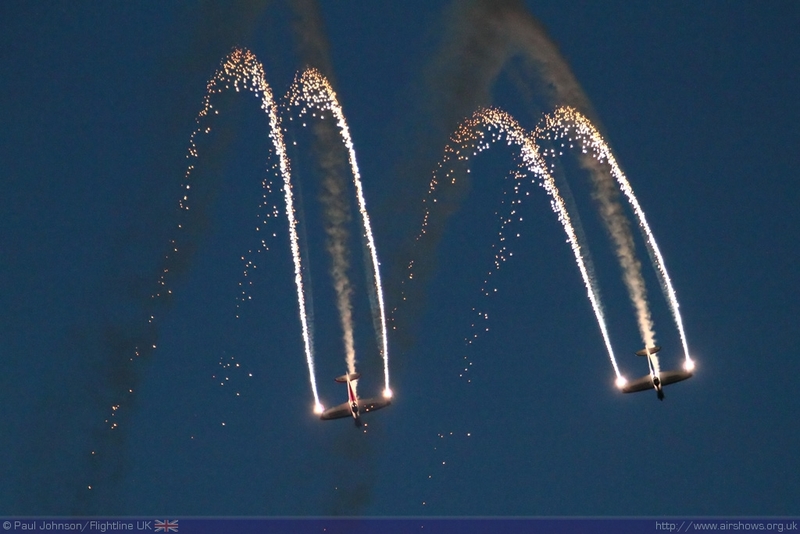 Pete first showed off the “pyros” at the Bournemouth Air Festival alongside the Swift Glider Team but the first full Duo evening display came at the Sanicole Sunset Airshow in Belgium and the team have further developed the display for the 2011 season. 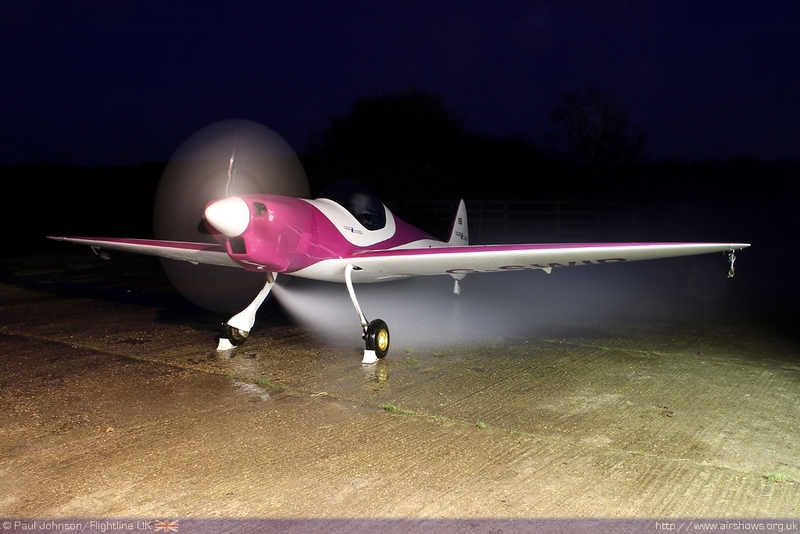 It’s something we just haven’t seen before at UK shows, and it certainly captured the imagination of those at Bournemouth and Sanicole which will mean that hopefully there’ll be more evening events as they are quite simply magical.